At the very beginning of the project, I had an impressive plan which turned too great of a feat to accomplish. I initially planned to trace a picture of me and my mother with some buildings in the background, but with my lack of artistic talents, patients and my reluctance to press the save key it out went down the drain. The initial challengers I faced was the difficulties of tracing organic shapes with functions, but as I was reluctant to save most of my tracing I finished this version of the project with little to no tracing and it was not as challenging as I have expected. The aha moment I encountered was when I realized I can turn off the display feature for an original function but still utilize it’s functions notations, which gave me more options. I tried to get some artistic advice from my artistic friends in regards to the shaping of my nose and lips and pupils, but clearly they didn’t quite help that much as my facial features looks quite interesting. In terms of strategies, I used a few equations to make up the function notations and turn off the display features on them which enabled me to use them all through out the graph with little to no limits. 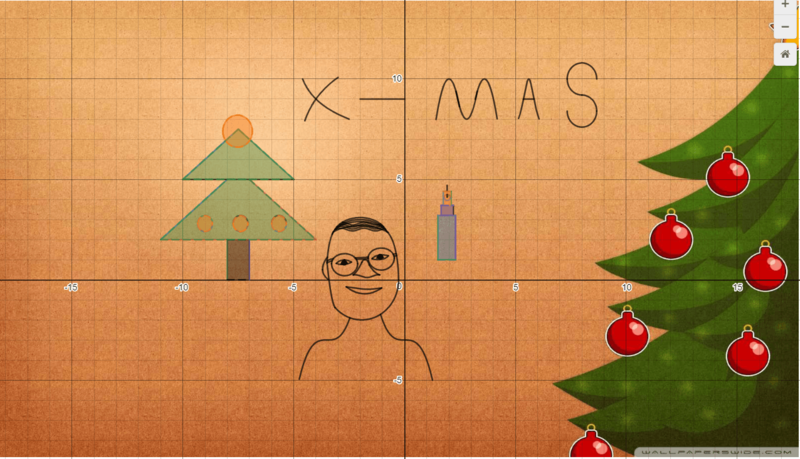 This project helped to review the graphing and manipulation of the functions that we learned in Pre-Cal 12 which is quite helpful considering the upcoming finals.